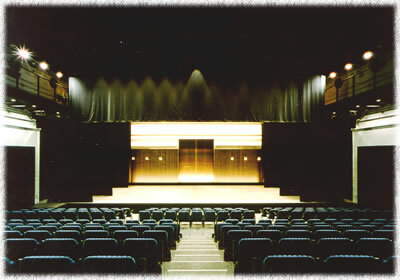 The hall gives a sense of unity and familiarity of the stage and the audience, and moving audience seats enables the creation of more freestyled spaces. Furthermore, for buffet style parties, the restaurant “CIELO” in the Patio Chiryu will be ready for catering. * Hanging features are operated by an electric take-up system (some are manually operated). ■ Sound reverberation time: approx.